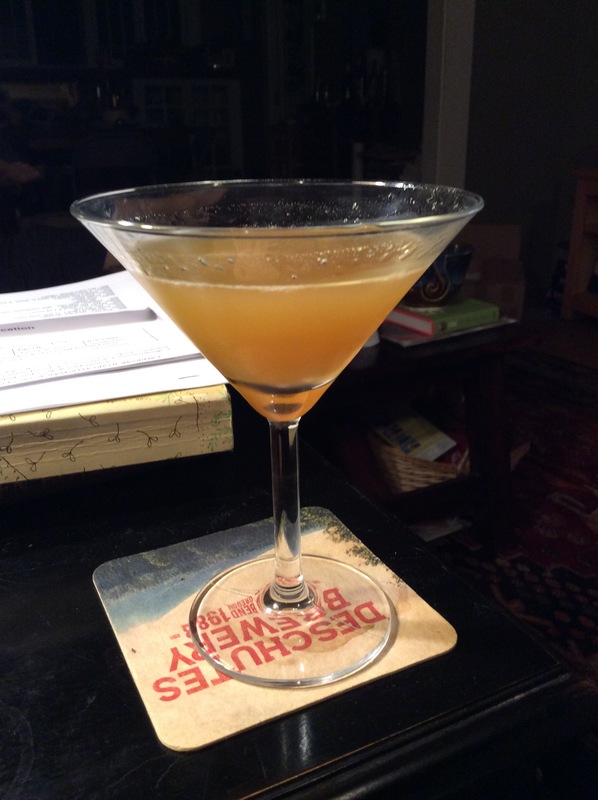 So I juiced some Fuji and Granny Smith apples that we had in the house yesterday and was inspired to work it into a cocktail this evening after the epic homemade orecchiette with butternut squash, chile and hazelnuts that we made for dinner. So, the Happy Apple Day was born. The house made Bosc pear bitters that I used, which we made from the recipe in Brad Thomas Parsons’ amazing book “Bitters,” gave the cocktail a hit of baked pear, vanilla and spice that really worked with the crazy fresh apple juice. If you don’t happen to have any pear bitters in your bar, a few dashes of an aromatic bitters, such as Angostura, will also make a great drink. Shake in an ice-filled shaker and strain into a cocktail glass. Marvel at how delicious it is.